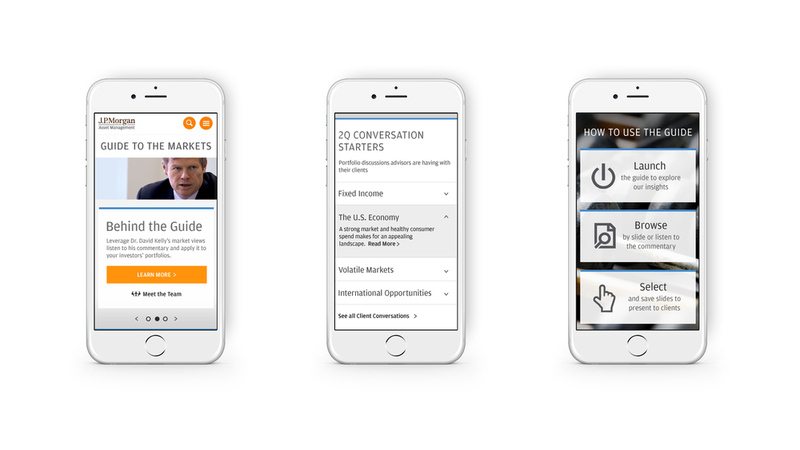 JP Morgan Asset Management's digital presence was in need of a refresh. This division of JP Morgan houses many of the most lauded financial experts throughout the globe. 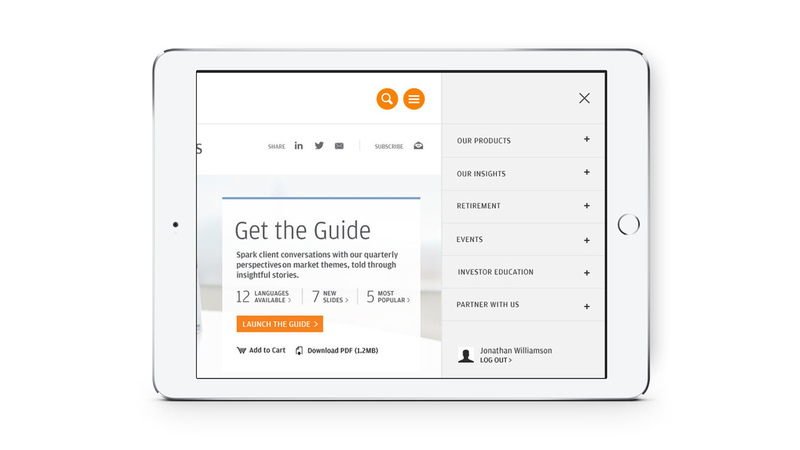 They provide the knowledge and insights to financial advisors which they in turn use to advise their own clients. This wealth of essential content was poorly reflected in their current site and also did connect the insights to the broad base of financial products which JP Morgans also offers. This design system was the first step in their process to re-position their digital presence and brand. 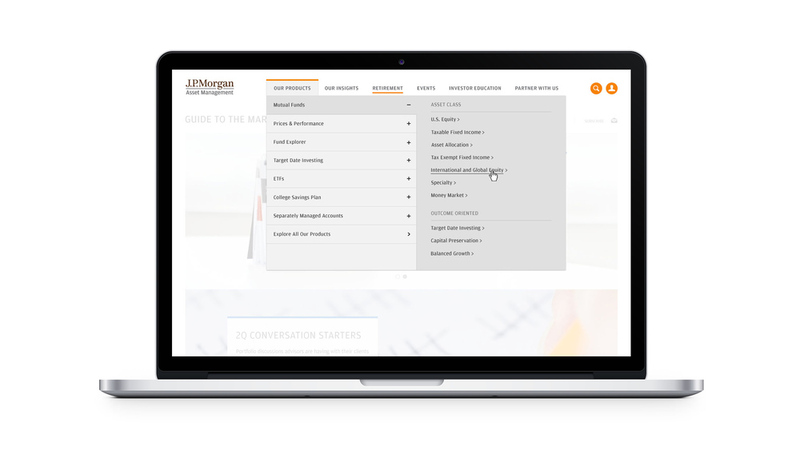 With this extensive modular design system, JP Morgan had the flexibility to create the final product best suited to their needs.